xiǎo xīn 小心 the floor is wet, xiǎo xīn 小心 a low bridge, xiǎo xīn 小心 Chinese food. 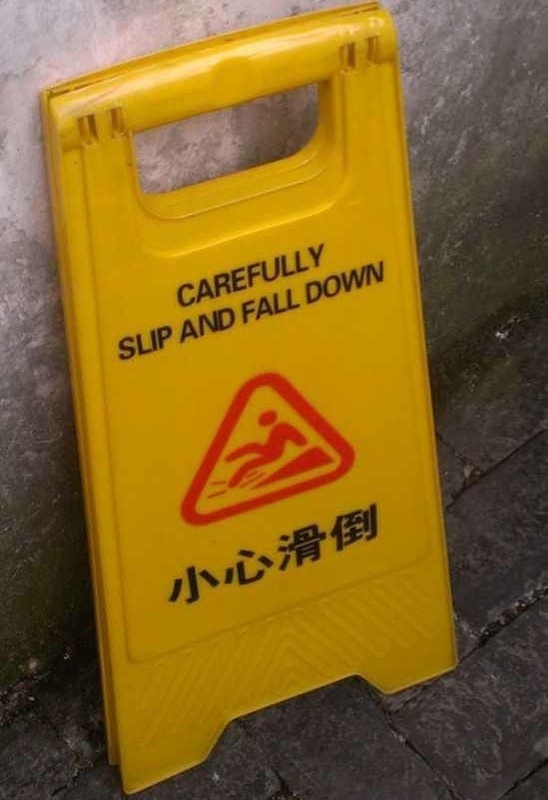 If you spend any amount of time in China it no doubt won’t be long before you see signs saying xiǎo xīn 小心, usually badly mistranslated as signs instructing you to carefully bump your head, carefully slide or carefully fall over. xiǎo 小 means small and xīn 心 means heart, although in China “heart” has connotations similar to “mind” in English. Together they can be translated as Warning! Caution! or Danger! xiǎo xīn can also be used in spoken Chinese and in this context is better translated as “be careful” or “watch out”. 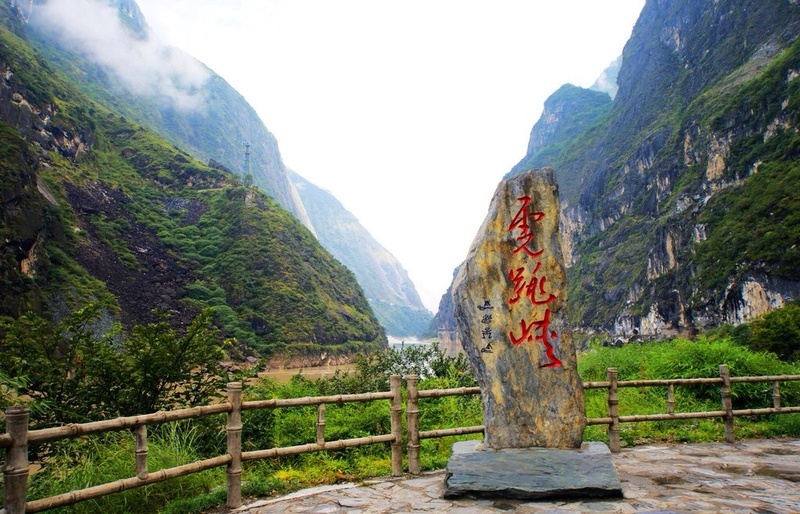 If you visit hǔ tiào xiá (tiger leaping gorge) in Yunnan province you should definitely xiǎo xīn.